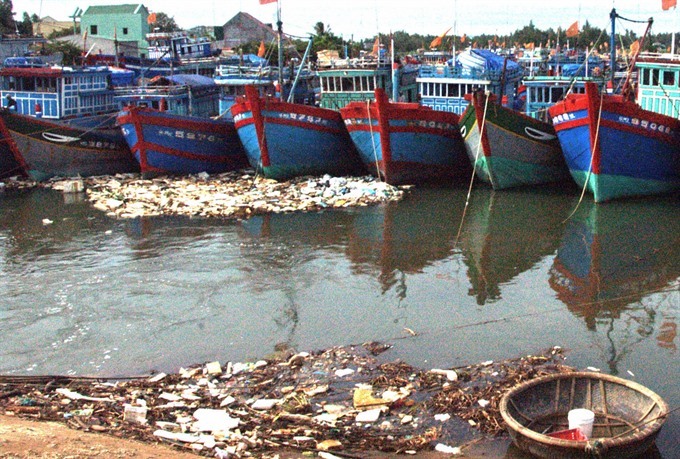 QUẢNG NGÃI — Coastal communes in the southern central province of Quảng Ngãi are facing alarming environmental pollution as a result of the waste discharged from residential areas, industrial production and tourism activities. At least 400 households of the coastal Bình Đông Commune, living near Đại Việt cement plant, is reeling from dust and noise pollution. Despite intervention efforts by Quảng Ngãi People’s Committee, the pollution has persisted. Bình Đông residents have repeatedly protested and attempted to prevent the operations of the cement plant. 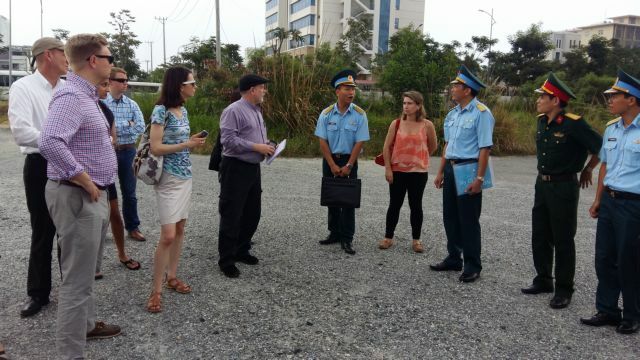 Speaking to Nhân Dân (People) newspaper, Nguyễn Minh Tài, head of the management board of Dung Quất economic zone and Quảng Ngãi Province’s industrial parks, pollution alleviation measures demanded of Đại Việt cement company are “not practical.” Locals have petitioned the company to relocate elsewhere several times, but the company refused, as the plant was built in the land area reserved for industrial development and was granted permission by the management board. “The relocation of an industrial production facility is costly, not to mention compensation for the investors,” Tài said. At Sa Kỳ or Lý Sơn port, dozens of thousands of ships sailing in and out every day discharge hundreds of tonnes of garbage, fuel, and wastewater during shipping activities. Usually, after unloading their catch onto the shore, boat owners clean their boats, and the waste and the residues are dumped into the ocean’s waters. Similarly at Sa Huỳnh fishing port, hundreds of active boats and 2,000 households, all dump their waste into the ocean. Most boats lack waste collectors, and the boat operators’ awareness on the need to observe maritime environment protection and safety guidelines is limited, which has exacerbated the current pollution situation in coastal areas. Unruly waste treatment by the tourism industry in the coastal areas — especially the increased presence of beachside restaurants, hotels, and resorts — is also an important source of pollution. Along the beaches of Tịnh Kì, Tịnh Khê communes of Sơn Tịnh districts, hundreds of touristic facilities produce a large amount of waste, enough to create a kilometre-long beachside landfill, giving off a serious foul smell. Trần Văn Hải, a local resident, said that in the whole commune there was not a single garbage collection area, so “untreated waste’s natural destination is the beach.” “Eat and live with garbage,” Hải said. 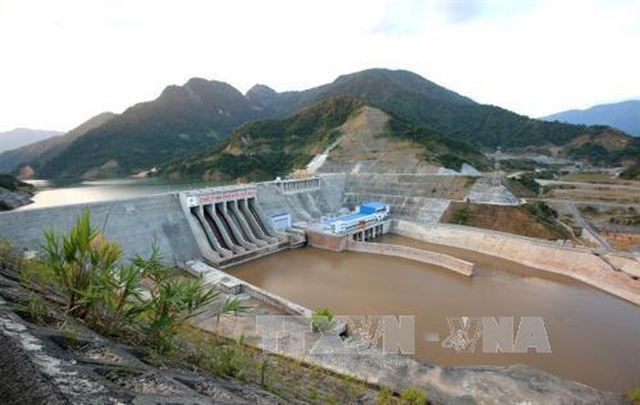 Nghĩa An Commune of Tư Nghĩa district is also experiencing the same predicament. Without a proper landfill, every throw-away — estimated at 5 tonnes a day — is strewn into the waters or left on the beach. When the tide water rises, it brings out the trash into the ocean, then the waves deposit the trash back onto the shore. In some seafood farms, mass fish death had occurred due to the wastewater and garbage that the sea waves brought back. Residents of Bình Châu Commune of Bình Sơn, with its many fish markets and a robust algae exploitation industry, said the current pollution was the direct result of age-old habits. The authorities have organised awareness campaigns to urge people not to dump waste into the ocean, but they have failed to produce positive changes. Đặng Văn Minh, Deputy Chairman of Quảng Ngãi Province, said the province “identified maritime economy as its spearhead sector.” Intending to make use of its deep-water ports, the province had been encouraging fishermen to build high-capacity boats to conduct off-shore fishing, as well as encouraging expansion of seafood farming areas. 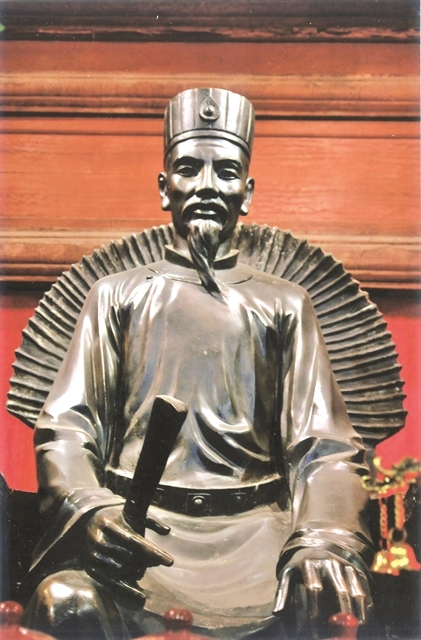 However, pollution had impeded and negated a lot of the progress made so far, Minh admitted. The province had allocated from its budget a considerable amount for the ‘environment affairs fund,’ which would be used to purchase waste collection and treatment machines for local governments.